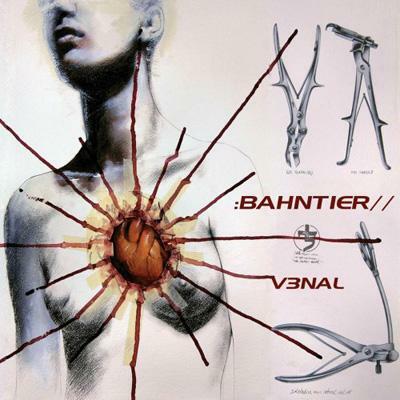 Venal represents yet another large step forward in the evolution of the band, characterized by a genre crossing Industrial Rock blend of progressive electronics, harsh ebm-like aggressiveness, cyber-punk flavors, and symphonic psychedelic noise. The album is clear evidence of the writing ability and eclectic influences of this Italian cult band, able to take US from an obscurely accessible hit song all the way to experimental and suffering paranoid atmospheres. Helped along by the optimum production of Justin Bennett (SKINNY PUPPY, KETVECTOR) and song writing of Stefano Rossello, Venal is sure to be one of the most highly anticipated genre-defying alternative albums of the year. Guests for this outing include William Morrison (OHGR, SKINNY PUPPY, American Memory) offering guitar sounds. Garnering fevered attention from the alternative press, this release is absolutely not to be missed!Sound like SKINNY PUPPY, MINISTRY, CHROME, NINE INCH NAILS.